Press Release – Ethiopian Airlines has contracted Lufthansa Technik to provide comprehensive component support for the airline’s future Airbus A350 fleet. The corresponding Total Component Support TCS® agreement will run for a period of ten years and includes 14 aircraft. The contract comprises component maintenance, repair and overhaul as well as access to a pool of spares. The contract underscores Lufthansa Technik’s many years of collaboration with Ethiopian Airlines as MRO in a number of different areas. These include an extensive Total Component Support for the carrier’s Boeing 787 fleet as well as material support for Ethiopian Airlines’ Bombardier Q400 regional aircraft fleet. 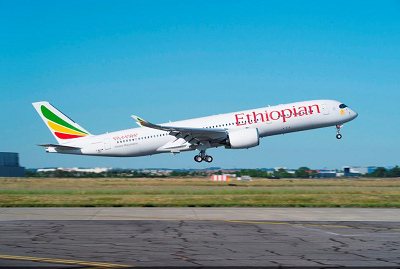 Mr. Mesfin Tasew, COO Ethiopian Airlines, said: “We are delighted that we were able to extend our long-term Boeing 787 component support with Lufthansa Technik to our newest A350 fleet. Lufthansa Technik’s Total Component Support TCS® offers operators optimal component availability without the task of setting up and maintaining their own spare parts inventories. Customers benefit from a unique pooling concept: Lufthansa Technik stocks more than 100,000 components and guarantees 100 percent reliable delivery at a pre-determined service level. Members of the Lufthansa Technik TCS® pool also benefit from reductions in operating costs through economies of scale.